Dr. Wentz spent most of his childhood growing up in Alaska at Fort Richardson and Fort Wainwright. His father was an Army orthodontist. He always knew that he wanted to make Alaska his permanent home. 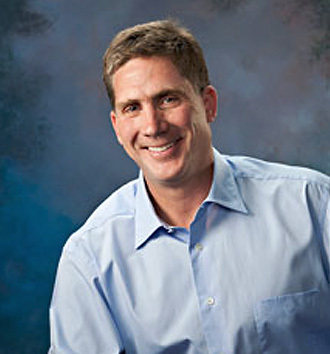 After completing his residency at the Indiana University School of Dentistry in 1990, Dr. Wentz returned to Alaska as chief of orthodontics at Ft. Wainwright. Then he opened his private practice in Fairbanks in 1994. Dr. Wentz has completed additional certifications since his graduation. He is board certified by the American Board of Orthodontics and a member of the Angle Society, as well as a participating member of the American Association of Orthodontists, the American Dental Association, and the Alaska Dental Society. He volunteers at the Fairbanks Cleft Palate Clinic. Dr. Wentz is also a certified Invisalign® provider. Dr. Wentz and his family enjoy the many outdoor experiences that Alaska has to offer, from camping, hunting, and fishing to hockey and skiing. They are proud to support local events such as the annual Tote UAF Museum Family Day, Relay for Life, Summer Fine Arts Camp, and sports activities in which their patients participate. Find Dr. Wentz on Google+!